I owned a lovely old Lenard rig in the late 60's made in Sydney. I still own the head although the cab fell apart many years ago but I salvaged the 4 Etone 12" speakers inside first. I have the amp head still. 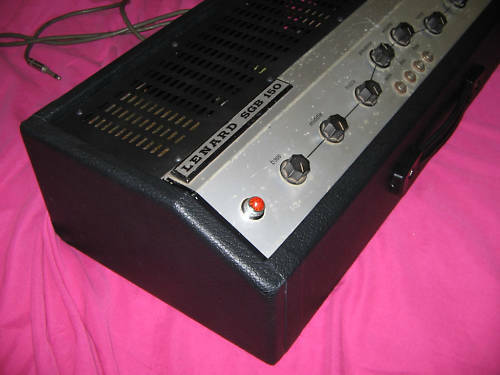 It is a SGB150 so i'll add some links to websites showing Lenard amps. 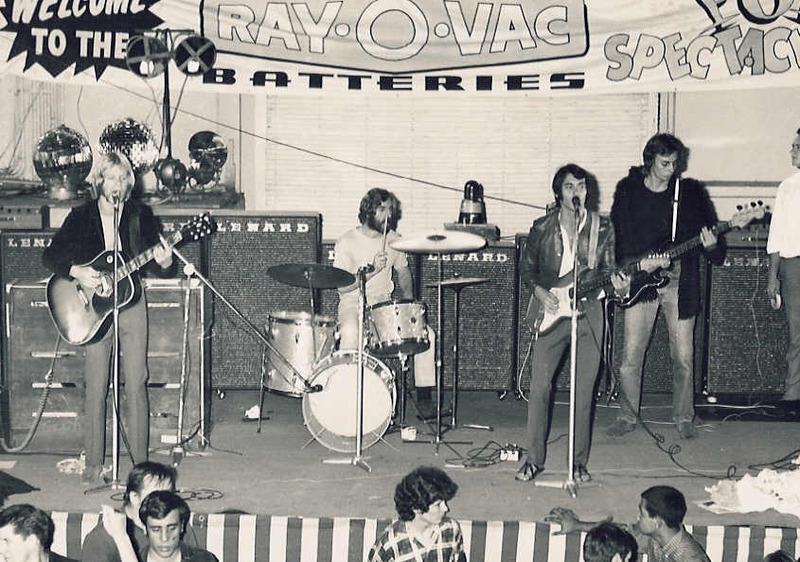 The amp was a great rig and I was using a Fender Precision through it back then and after that a Rickenbacker 4003...she sounded gutsy and mean with that great valve sound. I just wondered if anyone remembers or even had one. I know Daddy Cool were big users of Lenard in the 70's. Some links below. I think our guitarist still has one. Yes, I had a Lenard 100W valve amp with a buzzy grill I fixed by putting some draught-strip round the edges . When I bought it, someone had mounted the 4x12 Etones in 2 sort-of front-horned (shallow), shelf-ported speaker boxes. Not much cubic capacity behind, and the drivers had a high fs anyway - thus was born my life-long quest for clean depth, ie without boominess. I ran it for a long time into an Altec W-bin (also no depth), then finally I Thiele-Smalled (in about 1980!) my own box using a Richard Allen Atlas 15 - was heavy chipboard. Did the job for about 10 years. I can't remember selling it, but I somehow ended up with an Eminar PA 100 head, which was fantastic (less tatty, and safer...) with my later design boxes, through the 90s/2000's - but thats another story. Just saw you left some Lenard links in the Vase thread - ta! So I now find out, for the first time, that my old klunker was called an "SGB150" - 'cos my nameplate was always missing! 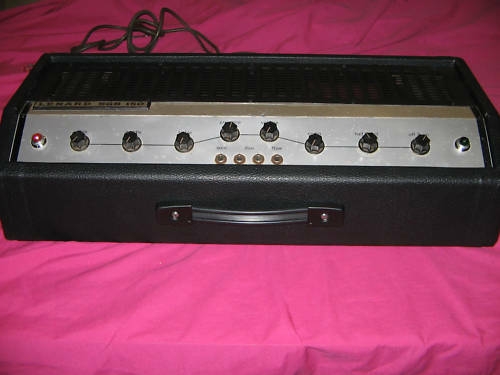 Also, I reckon this one is re-covered - mine had original, very thin imitation Tolex that had gone tatty as. Hey noplanb I found it funny on the Vase link you put up that the amp was called a DynaBass Classic. My bass guitar is named the same..a Peavey Dyna Bass. Last edited by Frobie on 24 Apr 2018, 04:54, edited 2 times in total. I had a Lenard Cab when I was starting out; think it might have been a 4x12, albeit a bloody big 4x12!! Loved that Cab. The only other Cab I owned at the time was a HH 1x15 Cab; the Lenard was bigger & had more speakers, so to a 13 yr/old novice it obviously had to be better! I used to have an old Lenard head and either 212 or 210 cab. A friend gave it to me in the early '90s. I have to admit it didn't sound good and smelled bad when the tubes heated up but I didn't ever have it looked at. I reckon the tubes were originals and maybe cooked! Wish I still had it - looked really cool with a vintage vibe.